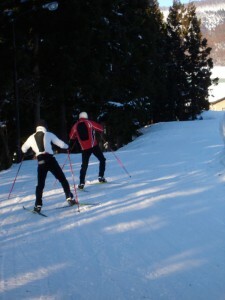 There are a fairly even mix of all levels of slopes and interests to suit everyone. 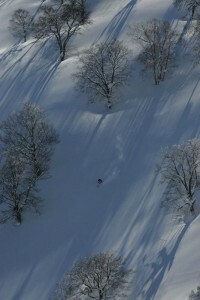 Even if you ski here for days you can still discover little areas & pockets that will excite & delight. If you’re one of our guests, we have a very convenient Ski Locker and Drying Room located just near the main Nagasaka Gondola free for our guests. 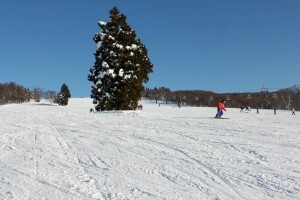 Leave your gear next to the slopes – Easy! 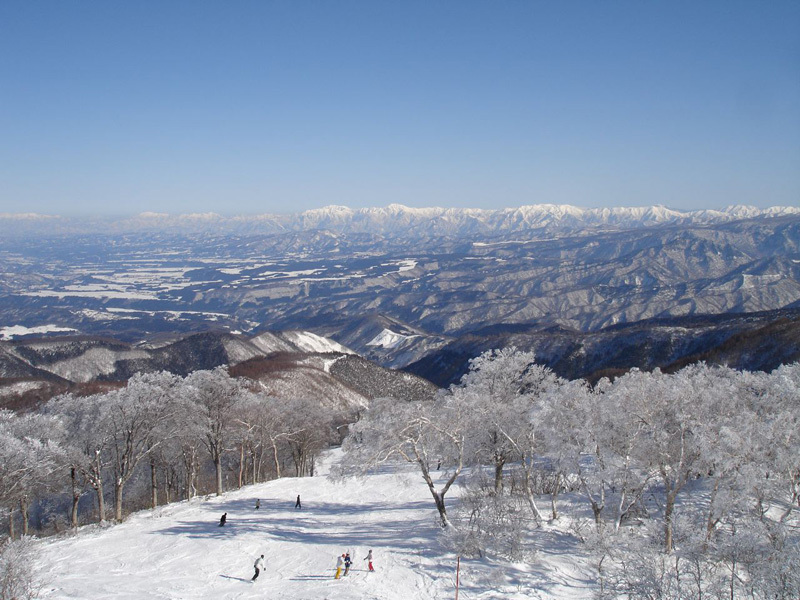 When you get off the Nagasaka Gondola it is a Winter wonderland with white frosted trees and snow everywhere. 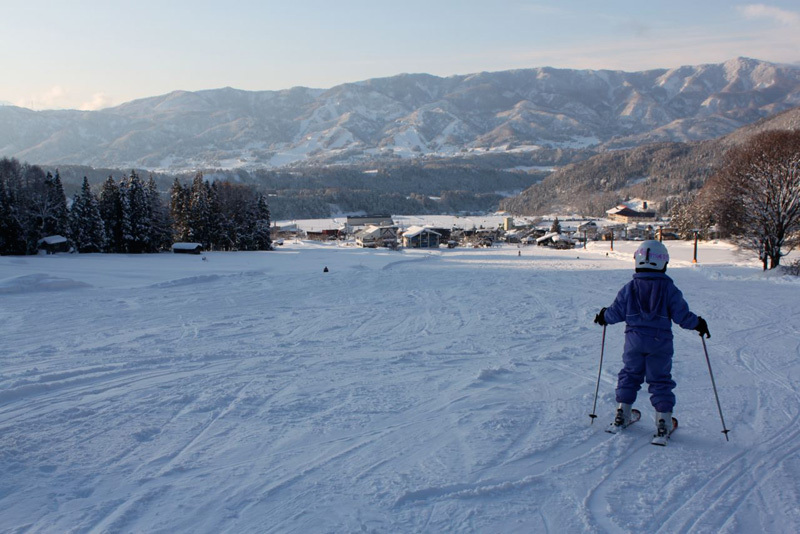 If you go straight ahead takes you to ABC courses the latest course to be developed in Nozawa Onsen opening during the boom times in 1993. 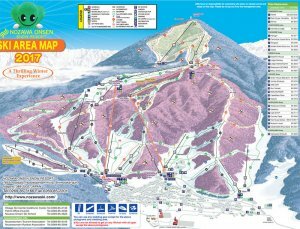 A mix of sweeping intermediate runs and tree skiing where you are officially allowed to access, it is like a little resort in itself. 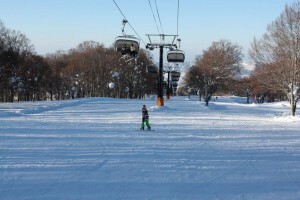 Heading left out of the main Gondola is beginner’s paradise with a long wide and gentle slope that seems to go forever. You can ski it all the way back to the Lodge if like with the Forest trail going over 10 km. The Park with jumps, rails, boxes and half pipe also run off here and has developed into a pretty decent set up over the years. You can see this area from the Gondola but it is often overlooked a little pocket in the middle of the resort just left off Uenotaira run. It is magic with cruisy runs and no crowds. It links up with Ushikubi or the ‘Cows Neck’ down to the bottom but be careful – only go that far if you are advanced, otherwise head back to the mid station of the Gondola or the ski out to Paradise slope. 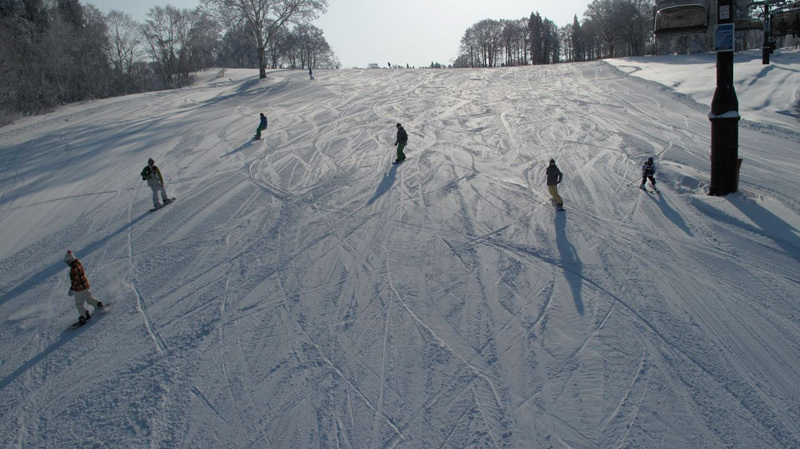 Paradise slope is a great transition for beginners after Uenotaira as is super wide and a little steeper so can really link your turns together. Also lots of great places to eat on the side, Buna being a favourite. At the bottom you need to make a decision; head back up on the lift, take a right for the forest trail and long run home or go straight. The Beginner Course runs all the way down thru the resort and above the Lodges and the Village. Straight is only for advanced level. To the right is 39 Degrees one of the steepest on the resort it winds down into Challenger a sweeping run with nice powder on the sides. 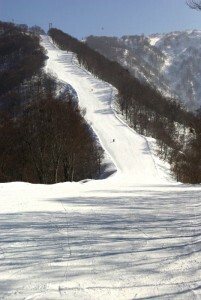 If go straight it is almost always a Moguler’s Paradise with bumps galore on Utopia and Schneider. It is a fun afternoon to sit at the café at the bottom of Utopia and watch people cascade down the wall of moguls. One of my favourites, it is often closed to competitors only, but when they open it up if you like a fast and beautiful run get up there. 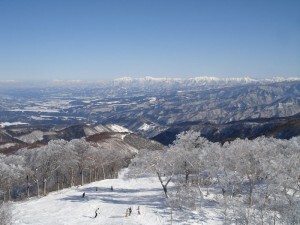 Two long and speed filled runs with awesome views over the resort. Just cruise down and feel the wind in your hair. 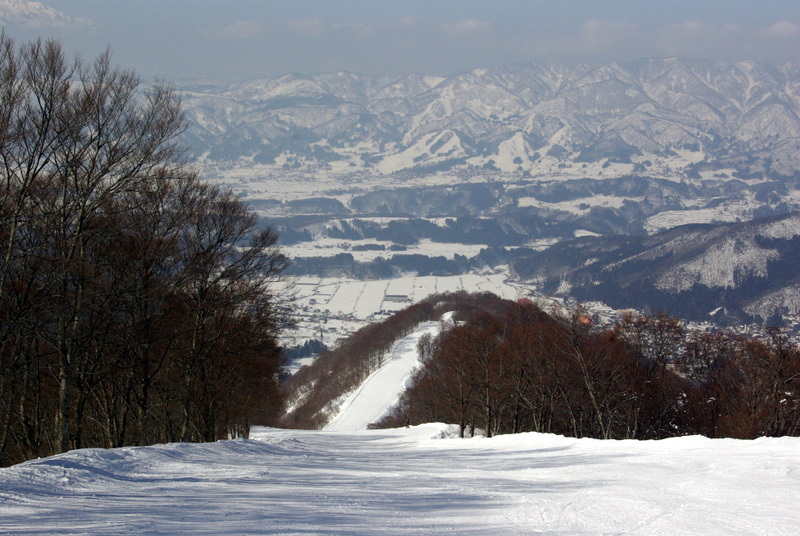 If you keep going past there towards Hikage on your right is a small road that leads you to Nozawa House and the People mover very pretty run down. This used to be the main Ski Centre before Nagasaka was opened and is still the main office for Information, Ski School and Child Care and lots of great places to eat. A great little powder run on the right too on its day. 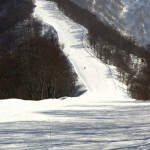 This also links over to Nagasaka and a fun run under the Gondola and home to the Night Skiing on the weekends. Back up to the top and off the Skyline link chair is the Skyline run a real spectacle; the course runs down a ridge all the way from top to bottom a thigh burning 6 kms in length. Not for beginners it can be pretty narrow in places and busy on the weekends but weekdays it is the fastest way down the mountain. There are a few flat spots so need to tuck to get along but it is an exhilarating run, good one for the lunch break or end of the day. Towards the bottom go left for beginners, right for advanced. 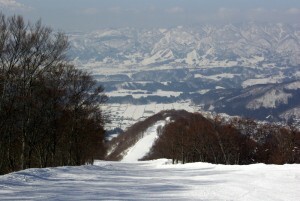 To the left there are a few exits heading to Karasawa Slope. To the right there are three steeper advanced runs that don’t get groomed so on a powder day can be magnificent. The first one Grand Prix is another I love, the powder and pitch can be perfect and shoot out next to a creek on Nagasaka Slope. 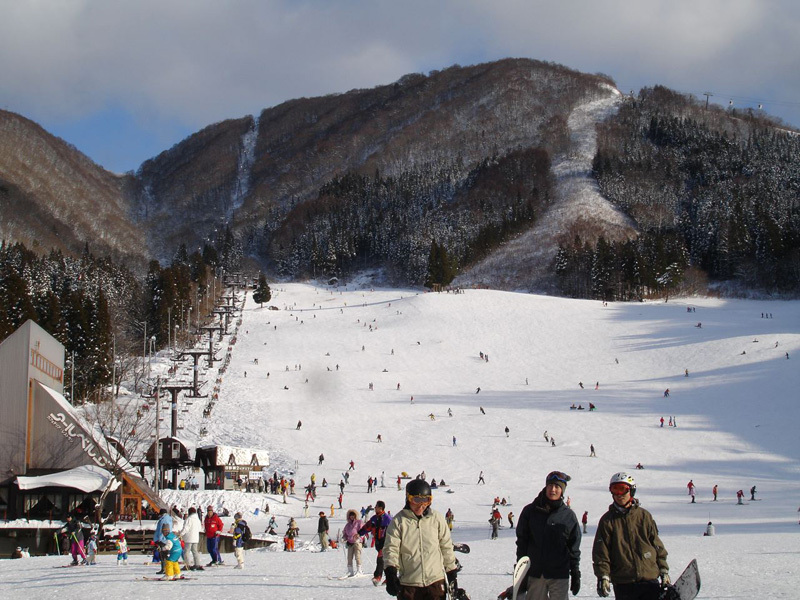 The next is Jumping then if go straight have Hachiman down to the Shrine on the left and Mukobayashi to the right next to the Ski Jumps. 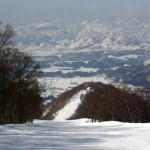 Which leads back to Lodge Nagano and Nozawa Cottage. This is the Ski Centre just above Villa Nozawa it has beautiful glades flanking a wide and un-crowded run. If you enter from Skyline at the top you have the first half to yourself. There used to be a lift servicing it but closed, as things got quieter. 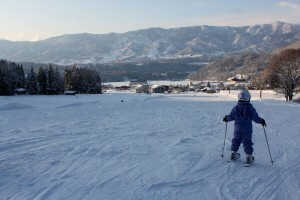 A great run to teach the kids on or to master turns yourself and only 100m from Villa Nozawa. A bit further across is the Olympic Cross Country Course which is quite challenging and also a nice Snow Shoe Tour which we take from time to time. There is also a cross-country course around the lake Sutaka up at Uenotaira. 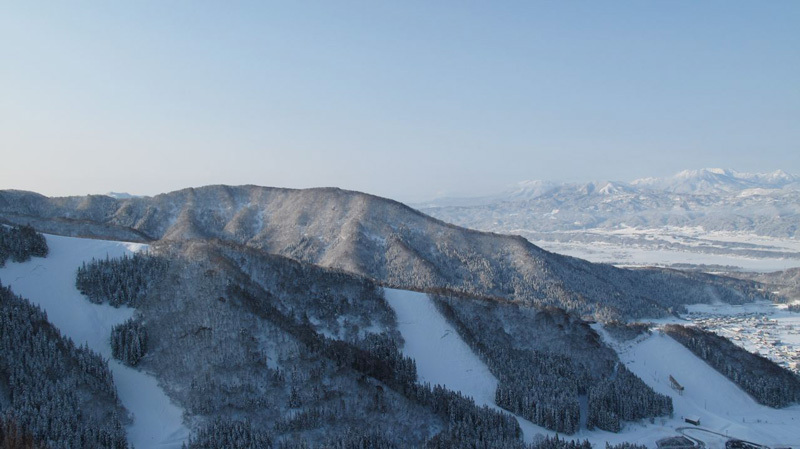 Nozawa has produced more Winter Olympic Athletes than any other town in Japan over the years. Jumping and Cross Country are popular and the local kids are awesome to watch. 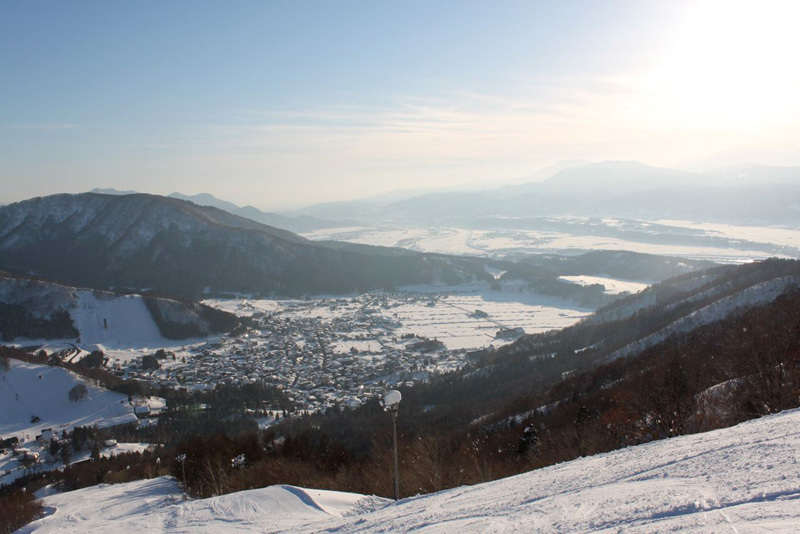 Nozawa is blessed with lots of it and it is amazing, but is not to be entered into lightly by any means. Like skiing off piste anywhere in the world you need to know what you are doing and have the correct gear. Having worked with the Ski Patrol here for many years they are very good and also fairly easy going as long as you do the right thing. Nozawa Onsen was the first resort in Japan to introduce a user pays policy for rescues off the resort runs. So if you get lost or hurt out there, it can cost you – which is fair. 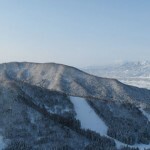 Having said that there is a lot of side country that can explore fairly easily and will bring you back to a lift or run. The Ski School run back country tours on the weekends and please ask our staff if want anymore information on this or anything else to do with the resort we are happy to help. 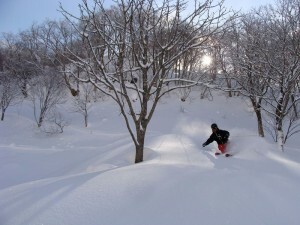 Hope to help you to come and ski Japan sometime soon. 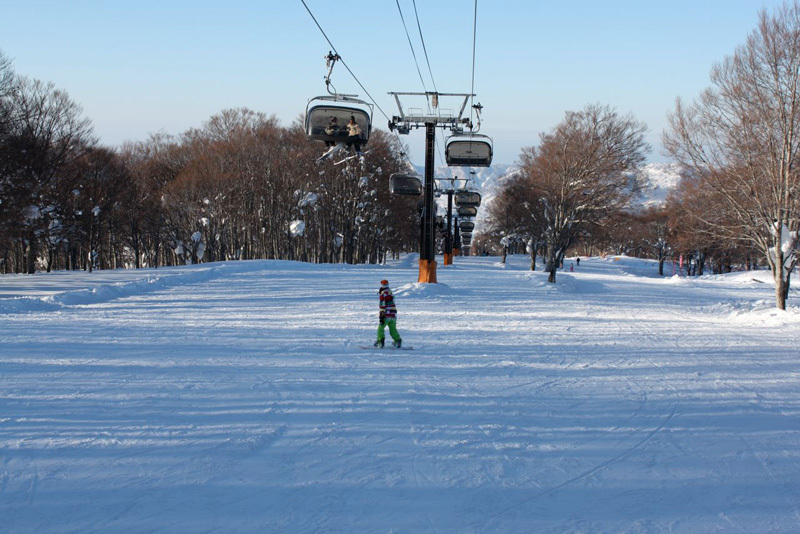 Contact the team for great deals on accommodation, ski gear hire and more.